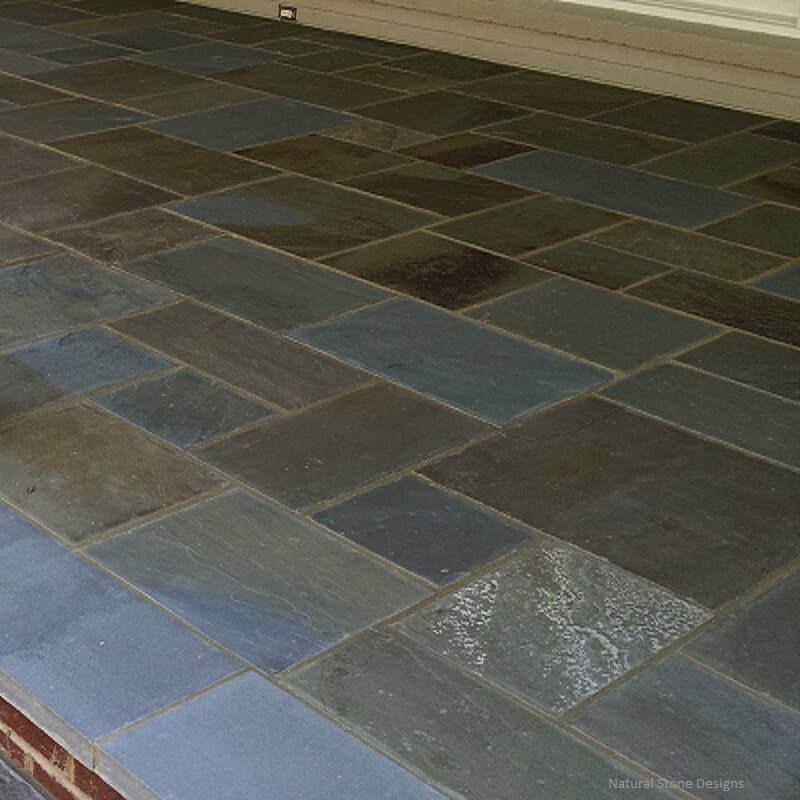 Variegated Bluestone has natural cleft on the face and sawn sides. 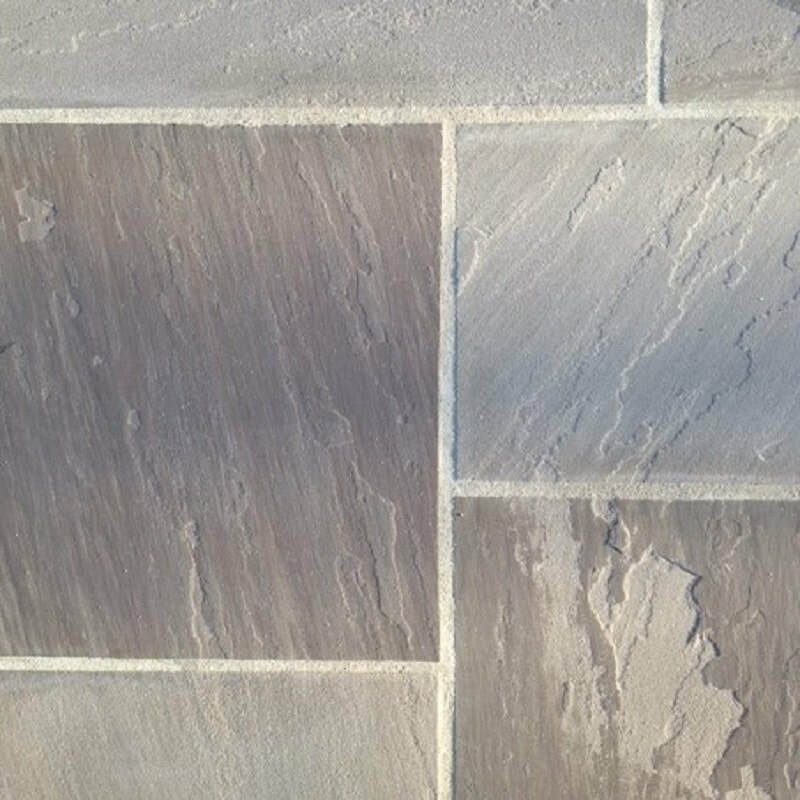 Rustic Plains pattern flagstone has naturally occurring dendrites on the face with a minimal cleft surface. 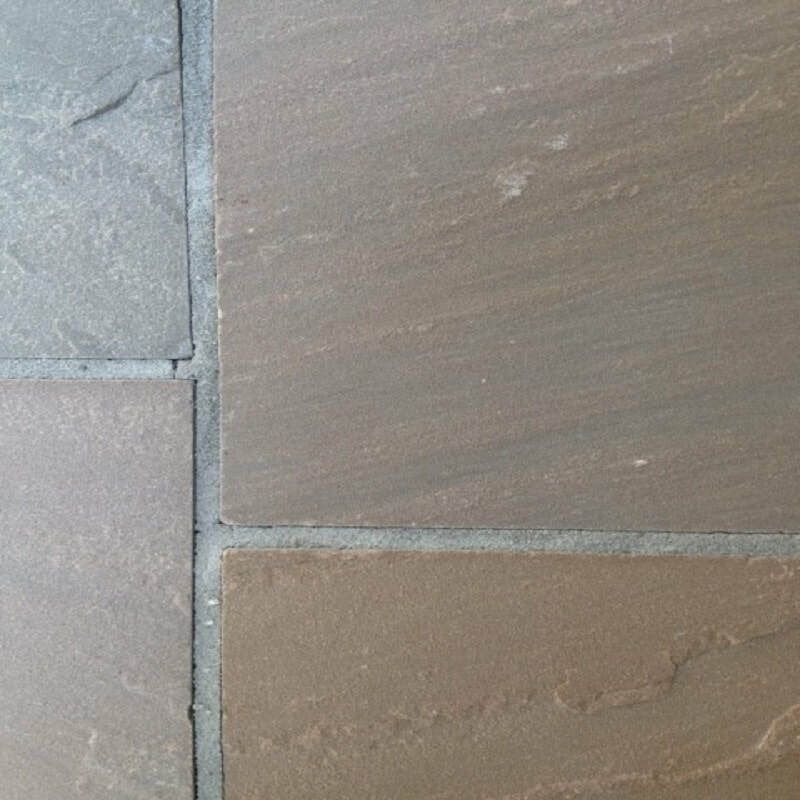 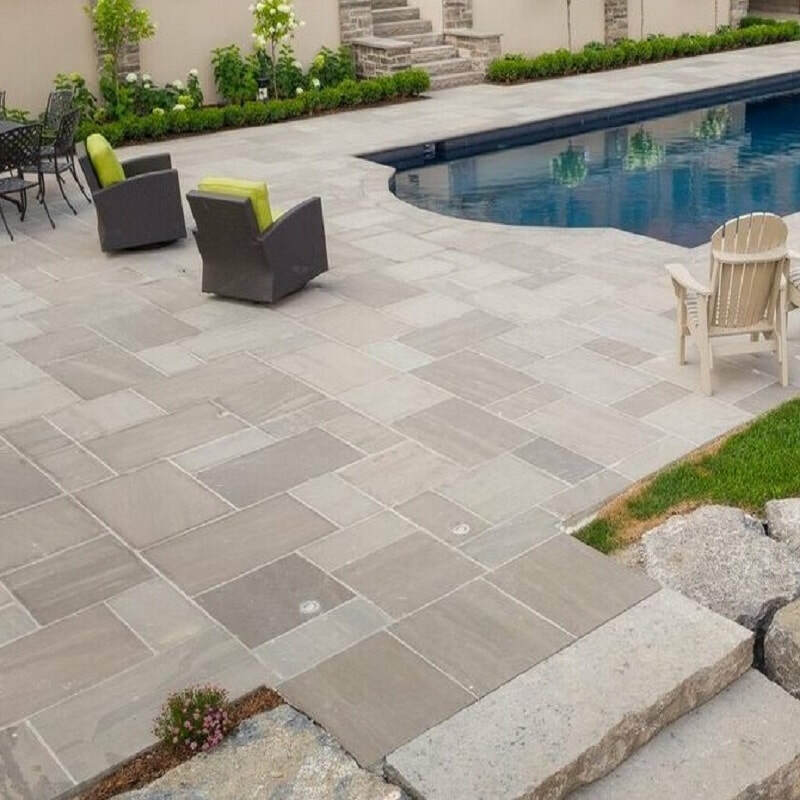 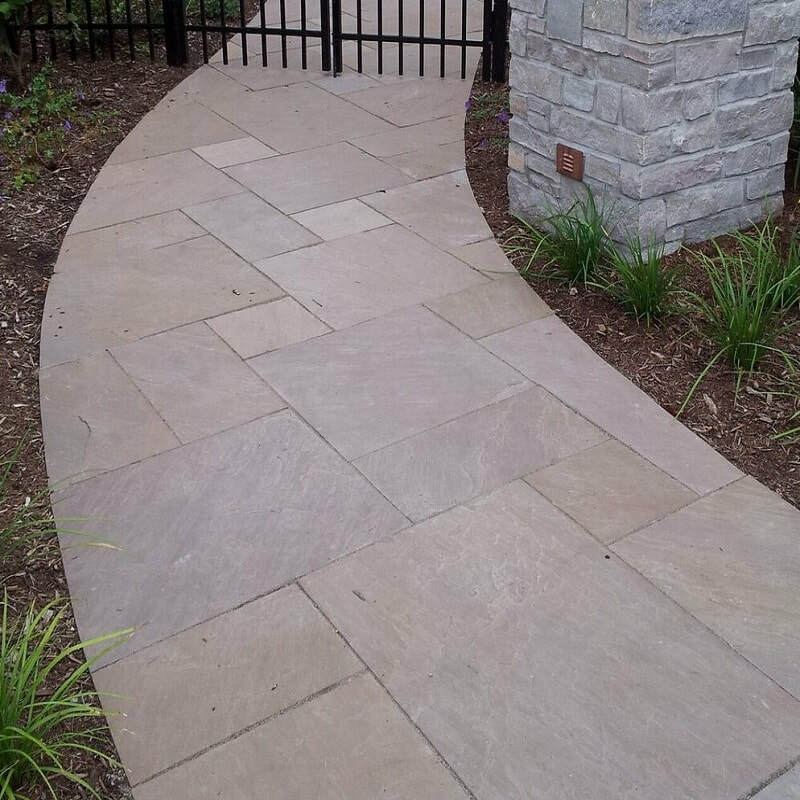 Slate Grey pattern flagstone has natural cleft on the face and sawn sides. 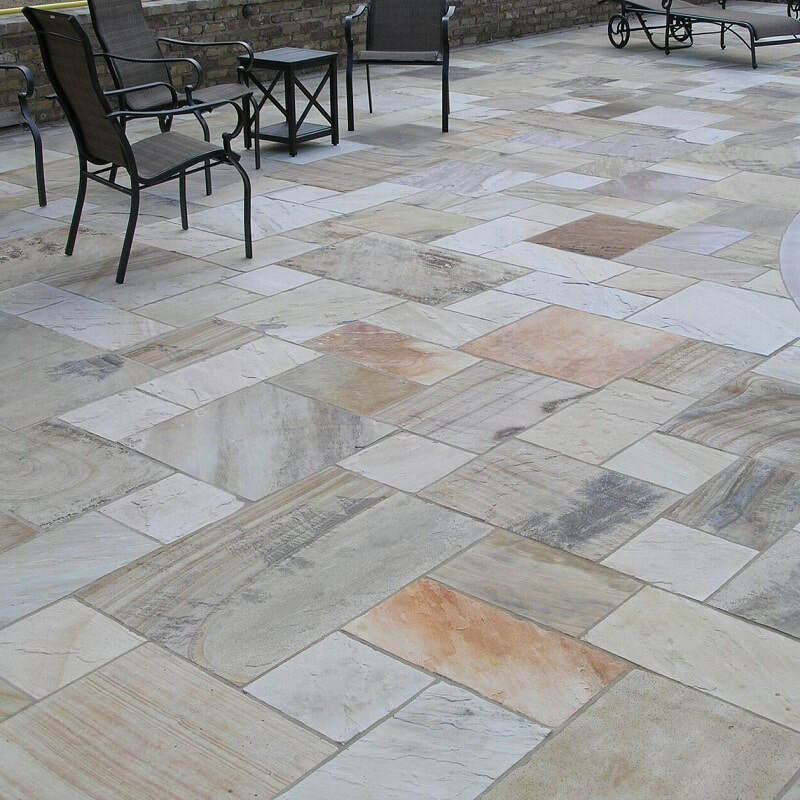 Autumn Brown pattern flagstone has natural cleft on the face and sawn sides. 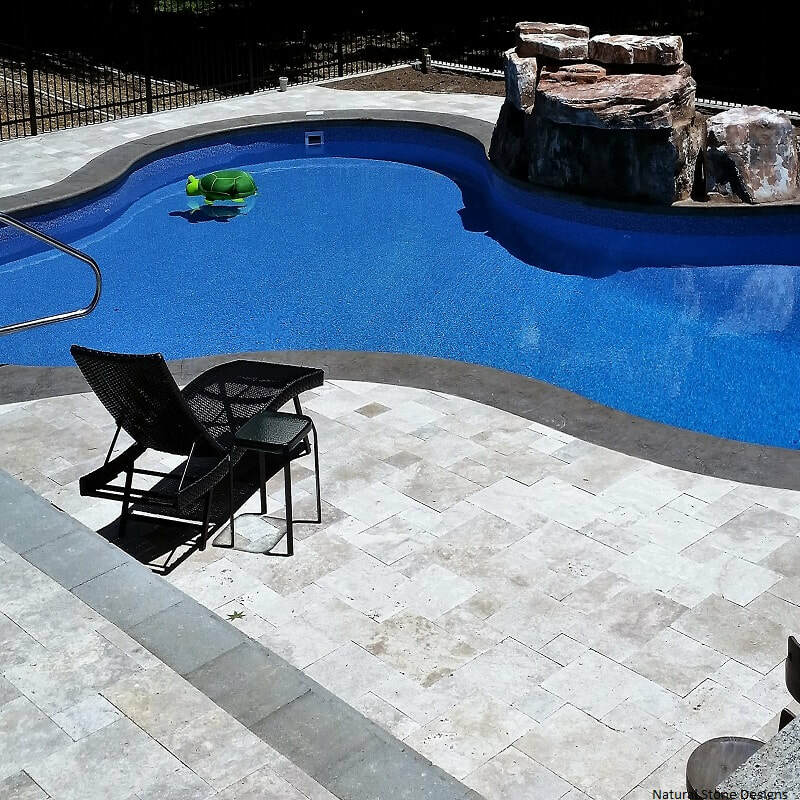 Antique Walnut is lightly tumbled on all sides and can be installed without a joint between the flagstone pieces. 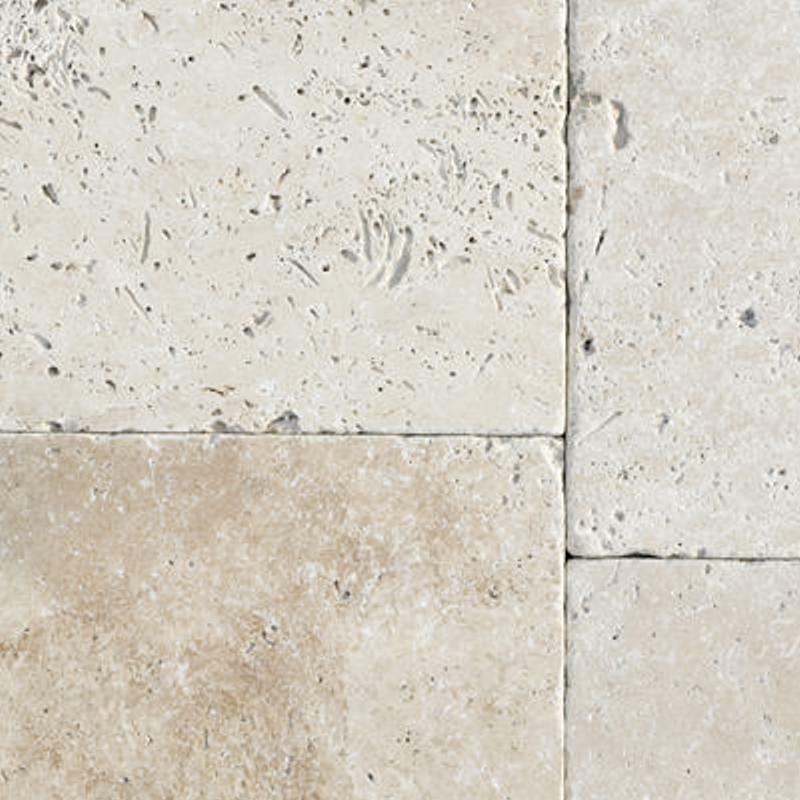 Ivory Travertine is lightly tumbled on all sides and can be installed without a joint between the flagstone pieces. 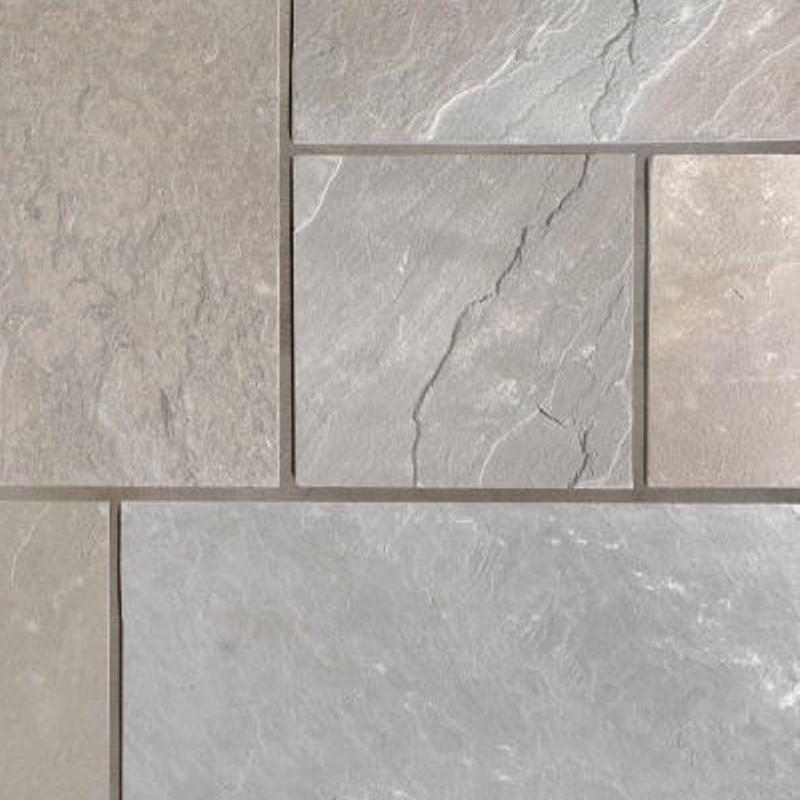 *French pattern set is 176 SF. 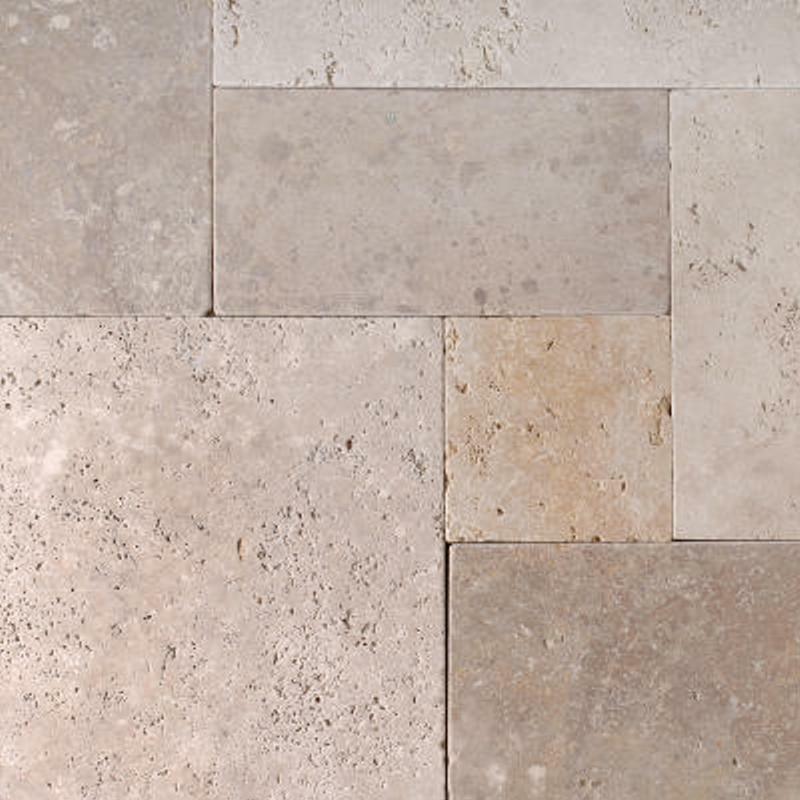 Silver travertine is lightly tumbled on all sides and can be installed without a joint between the flagstone pieces. 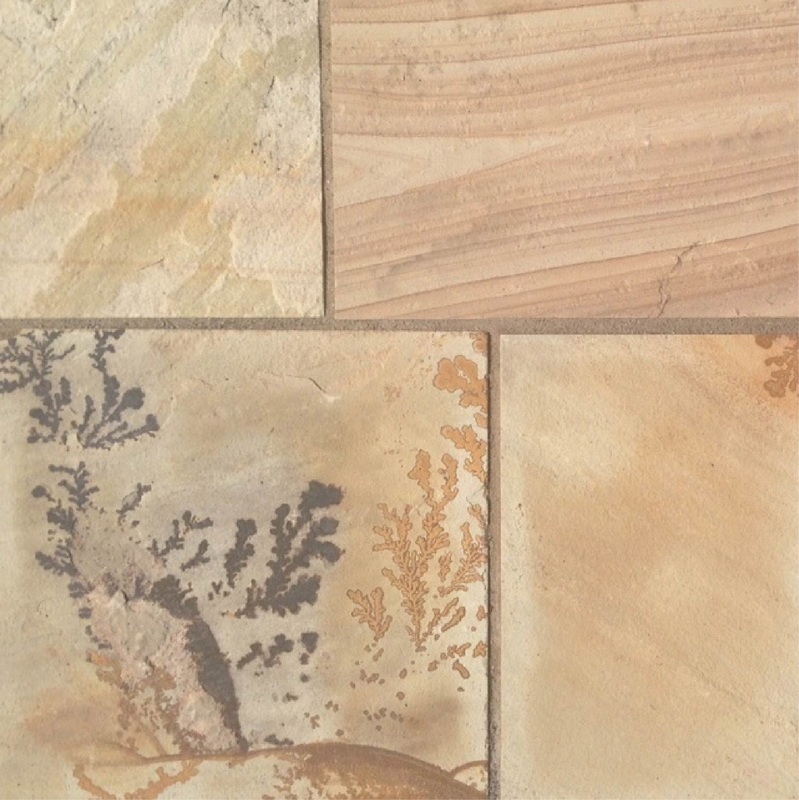 * French pattern set is 175 SF.